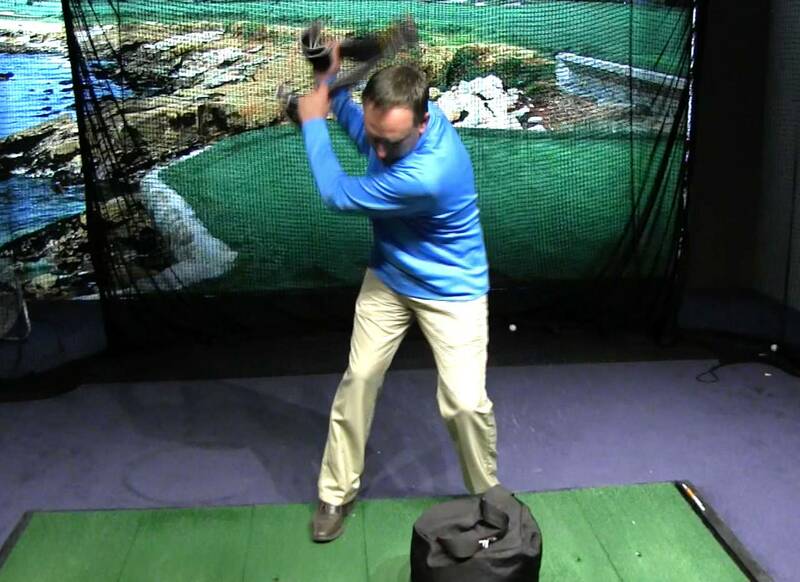 A proper release of the arms during the golf swing is a simple notion, but it also is very misunderstood. PGA Professional Todd Kolb is back to show us how using a rolled up towel can give us the right sequence when firing our body in the downswing. PGA Teaching Professional Todd Kolb here with another segment of On the Lesson Tee; and today what we’re going to talk about my friends is how to release the arms properly in the golf swing. Understanding the proper sequence in golf is one of the most misunderstood things. Now this drill—I call it Towel Snaps—I was given this drill by my good friend Chris from Xenolink; one of the leading experts in how the body works in the golf swing. Now, this is just a typical towel; most of us have a golf towel or something. This one I got specifically for the towel snap drill. I’ve also got an impact bag, but you could use towels or the side of a couch if you want to do it at home, or the side of a golf cart; really anything that allows you to swing the towel into. Now it’s pretty simple: you’re going to take your regular setup, you’re going to hold the towel in both hands, alright? You’re going to make your turn, and as you come into the bag—or the towel, or whatever you’re using—you’re going to let go of the towel with the trail hand, which is the right hand. You’re going to hold onto it with the left, and you’re going to feel a little snap, or little pop. The phrase that we use is “Brace and Pop.” I want you to feel your legs, your feet, and your core embrace as the arms release and as they snap. What you’re going to feel is the proper release of the arms in the golf swing. So the ability to release the arms in the right way at the right time is key to distance and accuracy. If you do this drill, I know you’re going to see progress, not only on the golf course, but progress in your swing as a whole. As you come into the impact bag, release your trail arm, allowing the towel to snap into the impact bag.